Throughout my childhood, I was privileged to be actively involved in our local church. At the age of five in Sunday School, I realized my need of a Savior. At the age of nine, I began my relationship with God by receiving Him into my life as my Savior. When I was fifteen, I attended a youth retreat where a true revival took place – the only one I feel I have ever witnessed of an assembly. Today, the majority of those who made decisions that night are still actively pursuing their walk with God. Our youth pastor at that time was Mr. Wes Conner. That night, his wife prayed with me as I committed my life to God to serve Him however He would lead me. Interestingly, the Conners had served in youth and music ministry for several years at a previous church we were a part of in a different state. Before I was old enough to be in the youth group, the Conners were our family friends. I loved them. We babysat their baby girl who will soon give birth to her first baby. Probably unknown to Mrs. Conner, she inspired me greatly as a child. She played the piano beautifully, and she sang well. One of the songs that she and her husband sang together is still one of my favorites: “We’ve Come This Far by Faith.” She was never my piano teacher, but she inspired me to love playing. She dressed lovely, and she wore her makeup perfectly. I remember seeing her take her eye makeup off one time as she happily chatted. It’s funny how we sometimes remember little things years down the road. 😉 She was fun with the biggest smile! She loved the Lord and her husband. I remember one occasion that she invited me to her little house. We made chocolate chip cookies, and she saved some dough in the bowl for the sole purpose of eating it by the spoonfuls! 😉 We sat on the couch, and she taught me how to crochet Granny Squares. When I spoke of her recently to my mother, she said that Mrs. Conner was very involved in the work of our small ministry but eagerly achieved homemaking skills early on. There are many ladies of influence whom God has placed in my life throughout my years. It has been a good exercise for me to “think on these things.” Other than my sweet mother, I would say Mrs. Evelyn Conner was one of the first ladies who had a part in shaping my life. Though our paths have been separated by miles and oceans through the years, she continues to be an inspiration to me. She remains a faithful Christian, wife and mother and has mastered the art of quilting. I am sure that some of her influence was intentional so as to make a difference in my life, but surely, some was just the overflow of her life. It makes me aware of how little things are important – a comment, a compliment, a smile, a little note, the way I present myself, the way I treat even those I do not know are watching. We are all teachers of some sort whether we intend to be or whether someone is watching in the shadows. We are all given a gift of influence in varying degrees, and we do not always know whose lives are affected by ours. 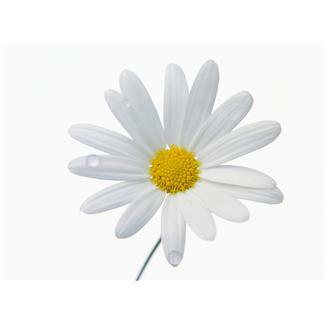 Let the fragrance of our lives be such that others are influenced toward Jesus because they knew us. For the gift of influence I received from Mrs. Evelyn Conner, I am thankful. It is a lovely gift to think about. Categories: encouragement, Jeri Lynn, life lessons, series, women of faith & influence | Tags: appreciation, gifts, influence, inspiration, lovely things | Permalink. I have been so excited about this series, and have spent a lot of time thinking about my contribution! There are so many who have influenced my life in so many different ways. But the wonderful lady I picked has had immeasurable sway on the direction of my life. When I was a young girl, my mother started me in piano lessons. It was fine. I remember practicing a lot, along with my older brother, and older sister. We were all forced. We were all made to practice. We were all carted off to our lesson each week. My parents were adamant about it. As a certain teacher had slots on her waiting list, we were moved over to her. And it began to change my life! Her name is Melissa Snow, and her piano-teaching skills are out of this world. She teaches with zeal, passion, and fun! I remember when I was a young teenager. I was really getting burned-out on piano. I really didn’t like it. It took up so much time, and I really wanted to quit. My mom wouldn’t let me (of course! ), so we went to every other week instead of every week. It really helped to have a small break. After that time, when I was about 14, I began to actually love it. I went to every week again, and even all through the summer! I got over that “hump” of indifference, and began to share my teacher’s dream. I often visited her church growing up. I loved to hear her play (and still do!). She was always faithfully in her place in church. She would sing and play, and I would dream that I could sing and play like her. I see her now about once a year. At last year’s meeting, she and I were talking about our piano students. I always have questions and seek her advice with my teaching problems. She said, “I was just thinking about the time you told me you hated playing hymns.” We both smiled. 🙂 “I’m glad you didn’t quit.” Well, my mama wouldn’t let me! But so much of it was because of my teacher! She just had a way, and still does. Not only did her direction influence my college choice, and lead me to the place where I met my Jamin. But I have played the piano in some form in every place I’ve been. Either as the church pianist, or playing for a certain group or choir. There is always a need for a pianist. Now I have 13 piano students also. I am not bragging in any way, shape, or form here. It’s just that I’m using what God has given me in the best way that I can. (Trust me! I know there are much more talented and gifted musicians out there!) Had I not had a wonderful teacher, I wouldn’t be able to do these things! She still teaches, and I would love to live closer to my childhood home, so she could teach my children! As I teach, I often think of her and her gentle ways. I could spot her handwriting anywhere. I can still hear her laugh. I have memorized the way her hands look, as I watched them show me how to play piano pieces week after week. I’m so thankful for her faithfulness and influence in my life! Did you have a great teacher? I’d love for you to share your story in the comments below! 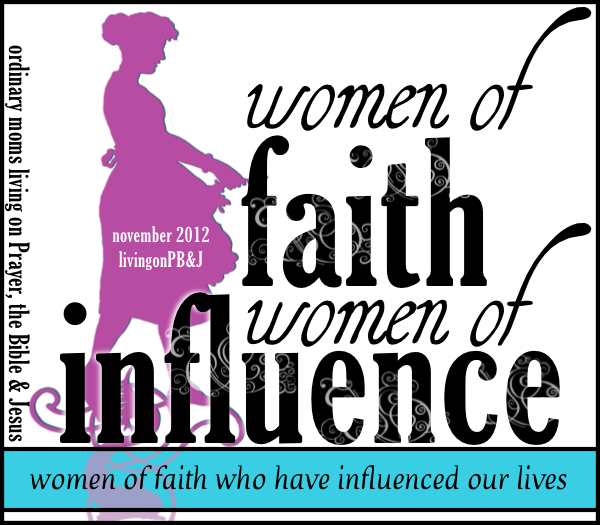 Categories: encouragement, Joy, women of faith & influence | Tags: appreciation, faithful, influence, piano, teaching | Permalink. A few weeks ago, my husband, Nick, and I were discussing the Lord’s provision in our lives. I told Nick about an idea I had seen on Pinterest months ago. 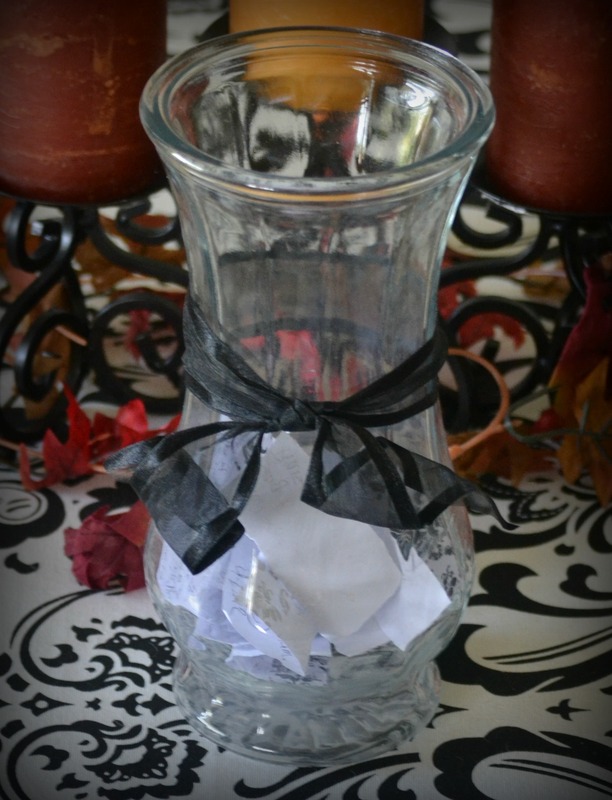 It was a jar where you would keep your blessings from the year, then on New Years Eve, read them all with the family. I do a horrible job at keeping a journal and have always wanted to have something written down about God’s answers to prayer and blessings in my life but after beginning I can’t ever remember to actually sit down with my journal and put it all on paper. Well, Nick loved the idea so later that week, we started one! It has been so much fun writing stuff down and tossing it in the jar. 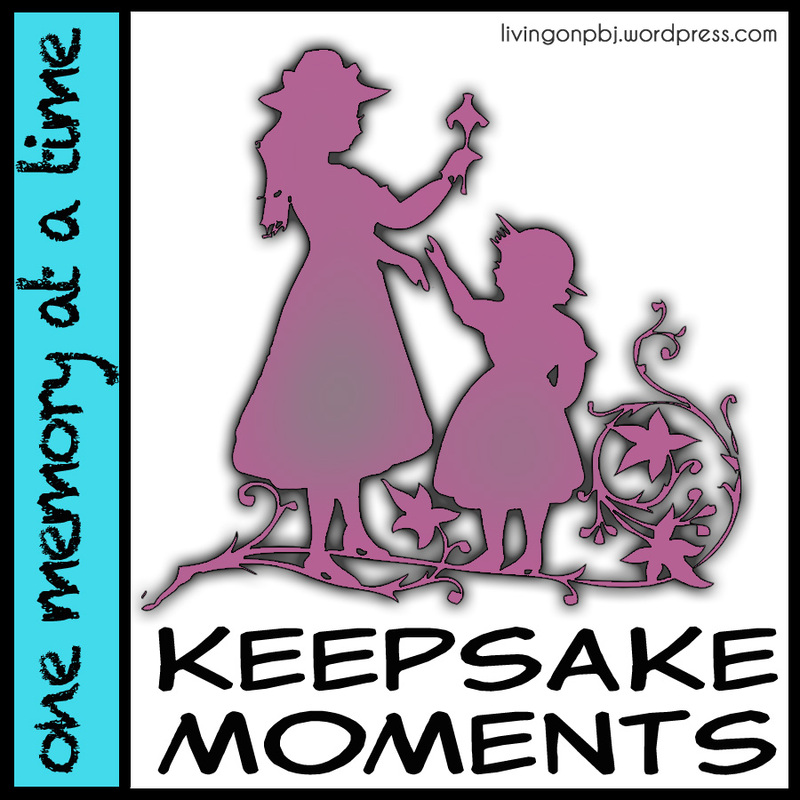 We have written down activities we have been able to do as a family, special events in the children’s lives (Lauren’s first little girl bday party, a visit from Nana and Papa, etc. ), answers to prayer, and so on. It is so easy to get our eyes off of the Lord and onto our problems. I don’t know about you, but for me it is always during those times that I forget about the goodness of God and become discouraged. It has amazed me how writing something down on a regular basis has brought so many more things to mind that the Lord has done for our little family…almost like gratefulness breeds gratefulness. I am praying that the Lord will use this little “pinterest project” in our home to keep His blessings fresh on our hearts and minds so we may allow Him to receive the glory for all of the great things He has done for us. 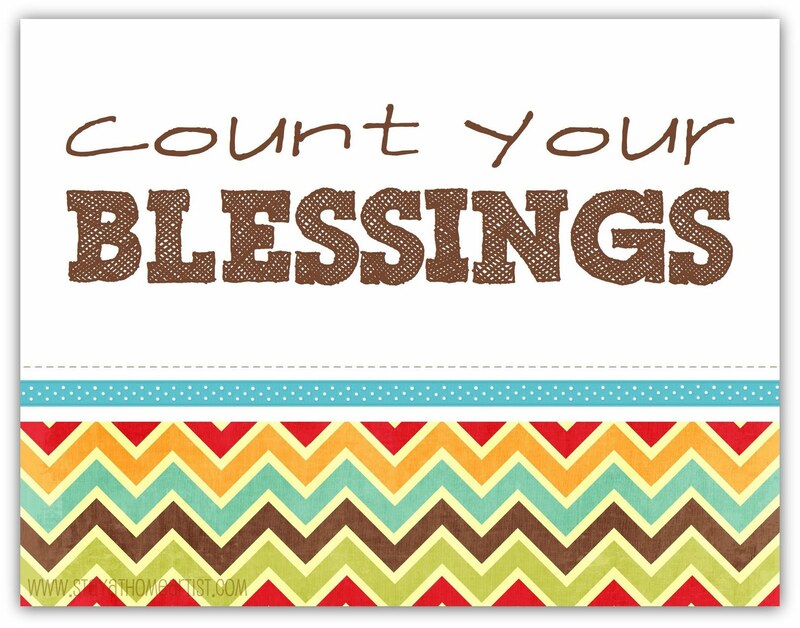 Categories: being thankful, Sarah (past author) | Tags: appreciation, blessing | Permalink. We are so thankful to be able to share the lessons God has taught us or recipes passed down from friends, and we pray that you find encouragement here! And we are thrilled if you wish to share our blog with others. share us with your readers!